The meeting is another exceptional opportunity to get together sustainable farms and professionals related to responsible farming, processing and trading, consumers and NGOs and to interact with members of the TRUE H2020 project. The first day of the conference is going to be an open forum, with presentations of participants based on the rules of Pecha Kucha. In the evening, a Networking Event is held on the famous ship of A38 on River Danube with a spectacular view to Budapest at night. Day Two is about networking and knowledge exchange and will be co-organised by the Budapest Business School, University of Applied Sciences. 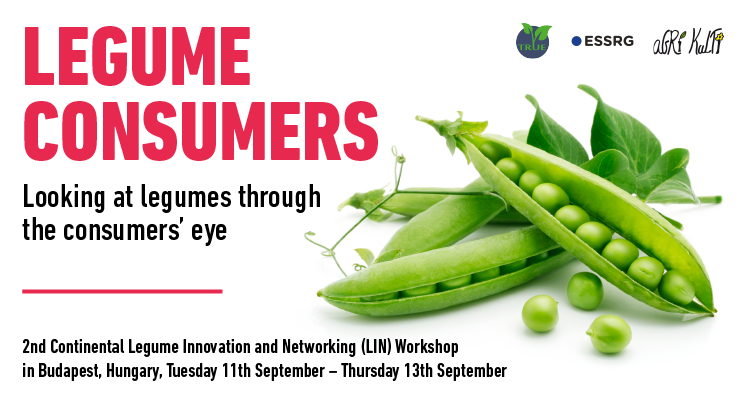 The main hall of the university will provide space for a series of 10-minute-long keynotes on a variety of topics around legume consumption. The poster session and a stakeholder world café continue for the whole day. Day Three is about a most exciting trip to Lake Balaton, aka the Hungarian Sea. It seems that fate wants beans to flourish, as this year’s gastro star around Balaton is Bean ‘Törek’which we will meet on Lajos Fodor’s farm. After taking a look at the plants, we go even further by tasting them as well in one of Hungarian Gastro Map’s restaurant, Kistücsök, where we can experience what happens when beans and a legume committed staff meet. We hope that we all meet in September in the spectacular city of Budapest and we can go on a thrilling journey into the world of legumes. Until then, have beautiful days full of plant proteins!